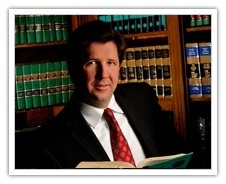 Published on: March 12, 2015 | J. Bradley Smith, Esq. In general, a person’s privacy rights extend as is “reasonable.” Persons do not, for instance, have a reasonable expectation of privacy when they walk on a public street. They may be photographed and recorded in a variety of settings and formats, and their words and behavior can be freely observed, noted and memorialized. A legislator in Texas has introduced a bill that would—if it becomes law—criminalize the recording of some people working in the public domain: police officers. Dallas Rep. Jason Villalba introduced a bill that would require persons employed by a “radio, television station, newspaper or magazine” to maintain a distance of at least twenty-five feet from officers if they seek to record them. Persons who are not associated with a media outlet or who are carrying handguns would have to keep a distance of at least one-hundred feet while recording officers. Violation of the law would be a Class-B misdemeanor. 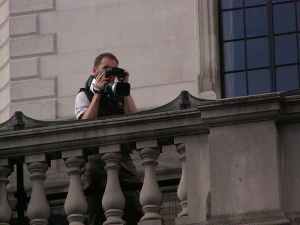 The ready availability of audio and video-recording devices at crime scenes and “the growth of citizen journalism” have brought the interplay between law-enforcement officials performing their duties in public and the free-speech rights of third parties who seek to record their words and actions into laser focus in recent years. As the Washington Post reported nearly a year ago, “it is perfectly legal to record on-duty police in every state in the country.” Despite that, as the Post noted, people were still getting arrested for recording officers. In some cases—such as in the case of Alberto Troche—cities have had to pay for those arrests. The City of Orlando paid Troche $15,000 after jailing him for recording another man’s arrest. Troche’s attorneys asked a federal court to make the city pay them another $44,000 for prosecuting Troche’s civil-rights case in court.